You will see all in one day - a real Grand Circle Island Tour through the scenic world famous beaches and surf breaks, Hollywood film industry's shooting grounds ( Jurassic Park, The Pirates of the Caribbean, Popolo and TV shows Hawaii 5O and Lost are just a few blockbusters filmed on the island of Oahu), historical town of Hale'iwa and romantic Lanikai beach, dangerous cliffs and short breaks like Sandy Beach and the neighborhood of the rich and famous - Hawaii Kai. 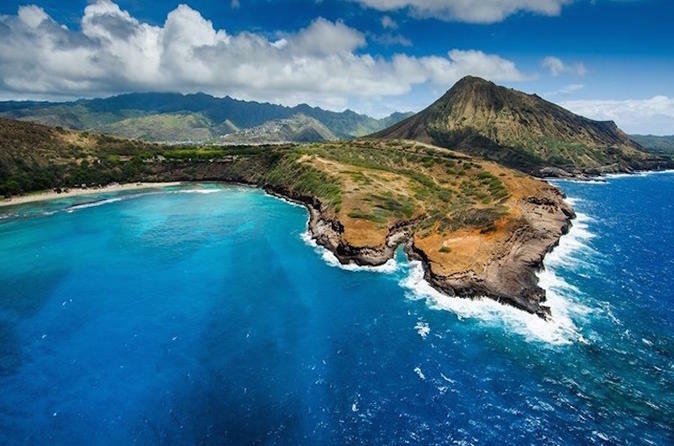 We normally start from your preferred pickup location in Honolulu and we take you up towards the west side of the island eventually circling the entire island. Hawaii Kai and back to Waikiki.